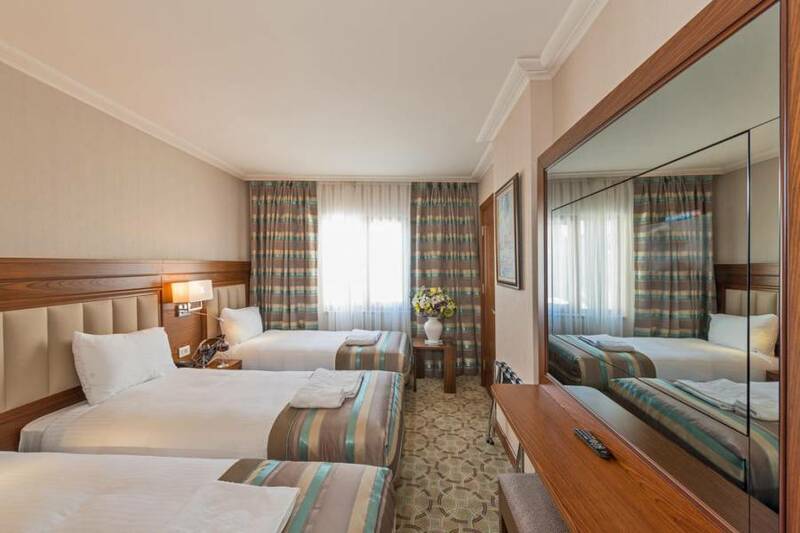 With a roof-top restaurant overlooking the Sea of Marmara, Bekd Hotel offers modern accommodation near Istanbul University. 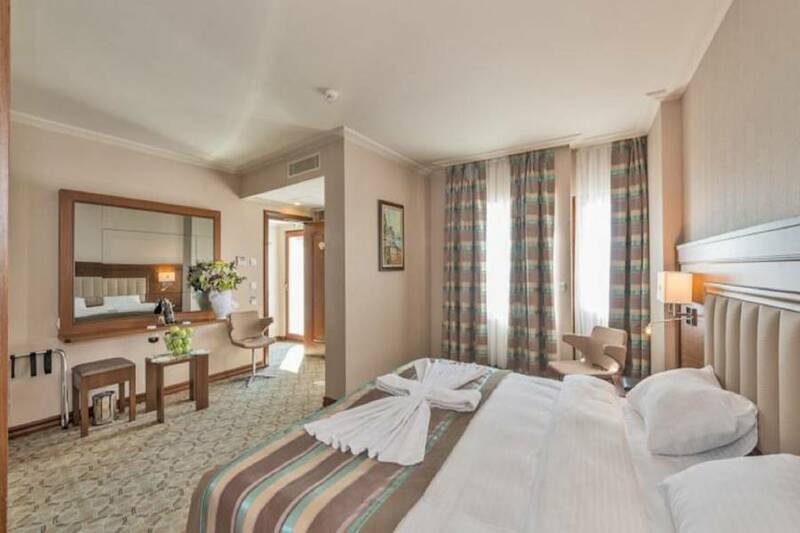 It is a 5-minute walk from the Grand Bazaar and 150 m from tram T1 Laleli stop. Free WiFi is available throughout the property. 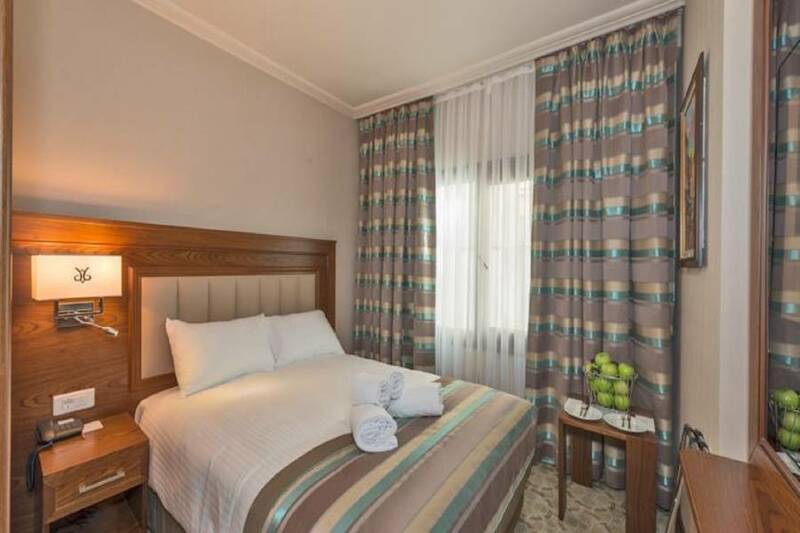 Renovated in 2013, rooms at Bekd Hotel feature an LCD TV with satellite channels, air conditioning and a minibar. Each is equipped with safe box and electric kettle. Private bathrooms come with a shower and a hairdryer. 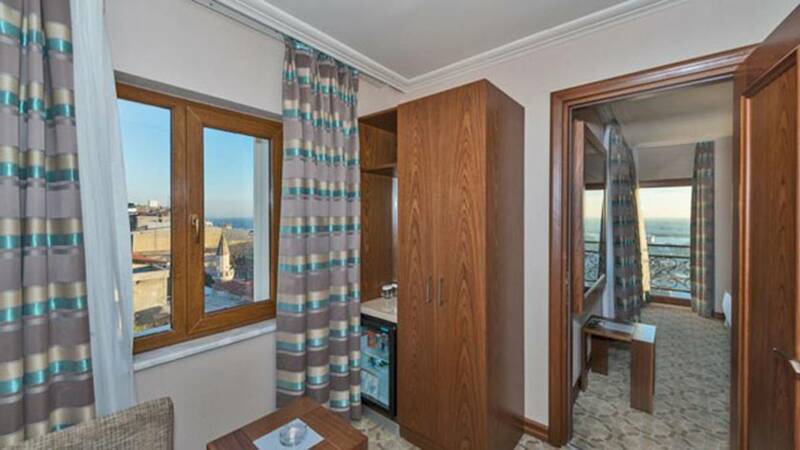 Some rooms offer balcony with a sea view. Day starts with an open buffet breakfast and guests can enjoy local specialties and gaze at the panoramic views from the in-house restaurant. The hotel's lobby bar serves soft drinks and local spirits, as well as the celebrated Turkish coffee. Guests can work up a sweat in the fitness centre, or relax in the sauna and the hammam. Massages are available with an additional charge. 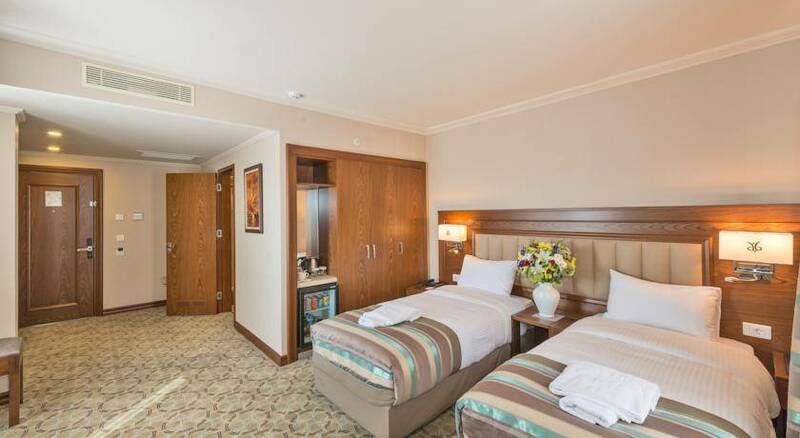 The 24-hour front desk provides room, concierge and car hire services. Luggage storage is available at the property. Laundry, dry cleaning and ironing services are available upon request at an extra charge. The friendly staff is happy to help you with ticket arrangements, recommendations and local information. The tram service links hotel Bekd with Sultanahmet’s notorious Hagia Sophia and Topkapi Palace. The service also connects with the Galata Bridge and the lively Karaköy District. Ataturk Airport is 15 km while Sabiha Gokcen Airport is 55 km from the hotel. Airport service is available upon request with at a surcharge.